Price £65 including materials and firing. 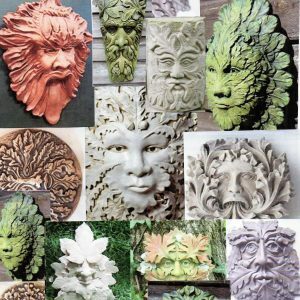 A Green Man is a sculpture or other representation of a face surrounded by or made from leaves. Branches or vines may sprout from the mouth, nostrils, or other parts of the face and these shoots may bear flowers or fruit. No two representations of the Green Man are the same, and they manifest a bewildering variety of features. Superficially the Green Man would appear to be pagan symbol, perhaps a fertility figure or a nature spirit, similar to the Woodwose (the wild man of the woods), and yet he frequently appears, carved in wood or stone, in churches, chapels, abbeys and cathedrals, where examples can be found dating through to the 20th century. 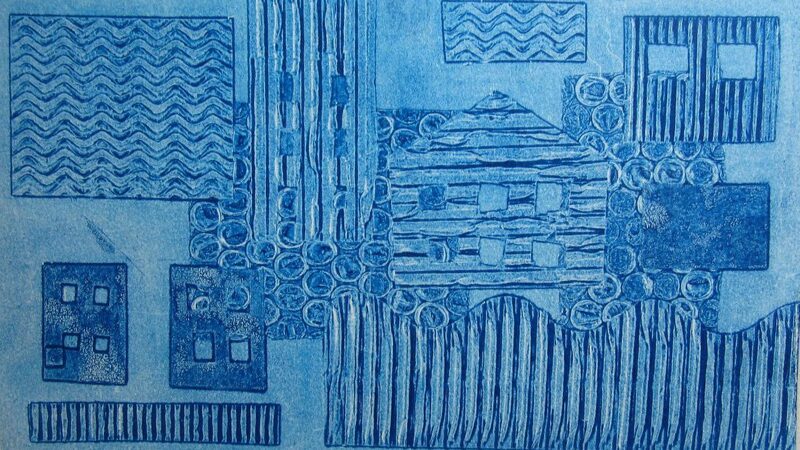 This course will be led by Mary Kembery, the Arts Coordinator for Stable Arts. It is suitable for beginners, but also those with some experience. Materials will be provided but please come along with some great ideas and images, and of course an apron! 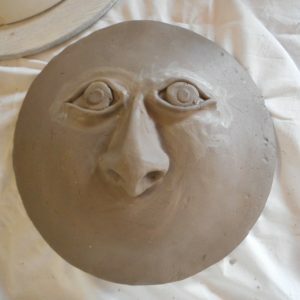 Mary will fire the pieces in her kiln and return them to The Stables within approximately 2 weeks after the session. 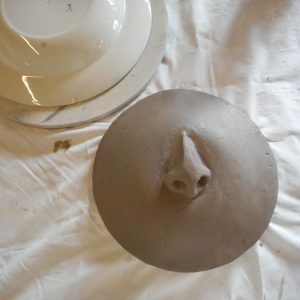 Mary is an experienced ceramicist having spent forty years working full time as a potter in her native county of Somerset. She is best known for her range of decorative stoneware Somerset Countryware. She was a founder member of Makers in Taunton, a cooperative retail outlet for arts and crafts which ran successfully from 1984 – 2011. She is a member of the Devon Guild of Craftsmen. She has taught in leisure centres, and run workshops and projects in schools and the community. Latterly she has become involved in projects with older people, initially through a European funded project Handmade Wellbeing, which gave her the opportunity to study delivering arts and crafts in care home settings in Eastonia and Austria. And the final piece…. in the kiln!